Licensed since 2008, Neely has built expertise in all types of real estate throughout Brooklyn and Manhattan, including condominiums, co-ops, townhouses and new developments. Experienced and methodically organized, Neely can make a complicated, sometimes grueling process seem effortless, easy and fun. Over the years her clients have described her as a breath of fresh air, patient, efficient, professional, well researched, friendly, a smart negotiator and honest. In 2016 Neely joined one of Brooklyn's top sales teams and for 2 years worked alongside two townhouse specialists to round out her expertise. In 2017, one year after joining Compass, she was honored to speak on a "Hyper Growth" panel to reveal her business practice that have delivered tremendous growth. With this continued growth in 2018, it was time for Neely to go solo delivering a specialty and focus for her happy clientele. Over the last 3 years she has represented sellers and buyers across Williamsburg, Greenpoint, Bedford Stuyvesant, Bushwick, Clinton Hill, Sunset Park, Park Slope, Windsor Terrace, Ditmas Park, Kensington, Prospect Lefferts Gardens, Fort Greene, and Prospect Heights. 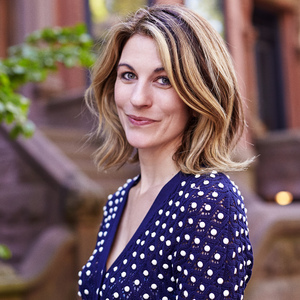 Her hyper local understanding of Brooklyn block by block, combined with her warm approach and passion to humanize data for negotiating and strategy make for a killer combo. A graduate of California College of the Arts, Neely's artistic background and sense of space enables her to visualize the possibilities of any property and market each uniquely. Staying ahead of trends, she is often a trusted interior design, styling and staging advisor. Hailing from a large family of designers, developers and investors she connects with first-time buyers, experienced investors, developers, townhouse renovators, sellers, property owners, and renters, each on a unique and personal level. Her business is largely referrals connecting from the worlds of fashion, film, food, music, design, entertainment, law, business, finance and investing. Neely lives in Greenpoint, Brooklyn. She is an avid traveller, vintage hunter, new experience seeker, and art enthusiast. Follow her adventures on Instagram here. Brooklyn: townhouses, multi-family houses, brownstones, new developments, condos, co-ops, first-time buyers, investment properties.